In South Korea, began selling the "elite" third generation smart phone under the brand name Prada, made by LG. In Europe and other Asian countries, it will appear in January. 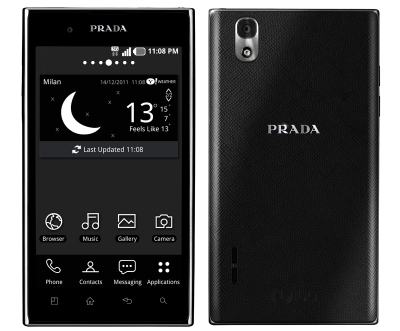 The front part of the LG Prada 3.0 slim (8.5 mm) made ​​of glossy glass. But new figures tenicheskie not shine: Dual 1 GHz next generation Tegra 3, 8 GB of internal memory, 4.3-inch display with 480 × 800 and 8-megapixel camera. On the other hand, probably, the audience for this product, advanced features are not important. The gadget has a specially designed interface, based on Android 2.3. In the second quarter of 2012 is planned to upgrade to the Ice Cream Sandwich. 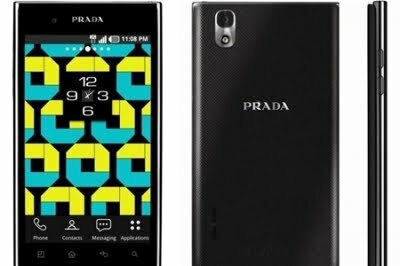 Price LG Prada 3.0 is about $ 775.